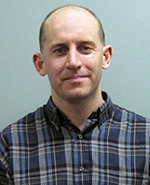 Congratulations to Dr. Ben Bond-Lamberty, terrestrial scientist at Pacific Northwest National Laboratory, who authored a perspective in Environmental Research Letters (ERL). In "Global vegetation model diversity and the risks of climate-driven ecosystem shifts," Bond-Lamberty commented on an ERL research publication by Lila Warszawski of the Potsdam Institute for Climate Impact Research, "A multi-model analysis of risk of ecosystem shifts under climate change." Bond-Lamberty was called upon for his expertise in terrestrial science research. The article describes a comparison of global vegetation models, and notes the need for climate models to incorporate data on vegetation and long-term observations to better understand future climate change. According to Bond-Lamberty's review, the study provides a powerful argument about the importance of identifying uncertainty in such models. "The Warszawski paper is an important and innovative study, and hopefully my commentary will both draw attention to it and provide a useful summary and context," said Bond-Lamberty, who works at the Joint Global Change Research Institute, a partnership between PNNL and the University of Maryland. Bond-Lamberty's research covers forest ecology and terrestrial carbon cycling, using both field and modeling studies. He has more than 45 publications, is a Section Editor for Public Library of Science ONE, and a member of the American Geophysical Union, Ecological Society of America, and the American Association for the Advancement of Science.